Dry & Steam Rug & Carpet Cleaning Services Sefton Village L29 | Quality Property Care Ltd.
You can call us at 0151 673 0008 where our crew eagerly waits your phone call. 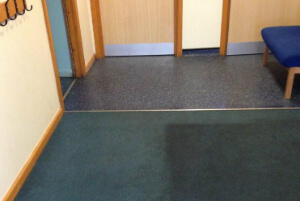 Contact our professional company and learn more about some other advantages of the service as well as how you can save time and money with Quality Property Care Ltd. commercial and domestic rug and carpet cleaning service in Sefton Village L29. Rely on the experts in carpets cleaning Sefton Village L29 and forget about plain and dirty carpets and rugs in your home. We ensure you get you full customer support, understanding and flexibility in service arranging. The perfect final result is guaranteed! Note that all loyal clients will be given both: discount and special free of charge tip on afterwards rug care. The carpet cleaning crew can also offer: Mattress Cleaning, Bed Bug Mattress Treatment, Drapery Cleaning Blinds Cleaning Curtain Cleaning. If you purchase more than one service, you will get a discount and competitive final rates! Plus: our commercial and residential rug cleaning company works with all types of rugs: Wool rugs, Persian rugs, Chinese rugs, Area rugs, Tibetan Rugs Shaggy Rugs Silk Mix Rugs Handmade Rugs Play Rugs Turkish Rugs Egyptian Rugs Indian Rugs Antique rugs, Floor mats, Entrance mats, Logo mats, Industrial Mats Anti Fatigue Mats Rubber Mats! 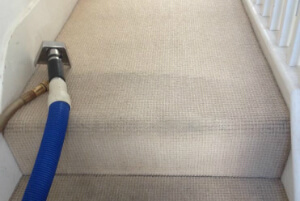 The firm regularly spends a lot of resources into buying the latest, safest and most efficient carpet cleaning systems. The cleaners are also regularly being coached to safely and properly use them, and to cope with a variety of spills and materials. The first thing you have to do to reduce the stain reach and the potential damage, is to blot out the spot with a piece of paper or a cloth. From edges in blot out the spot and check the paper or cloth to see if it’s transferring. This will draw out most of the stain and leave just a small amount for us to eliminate which make our job easier and your carpet’s chances a lot higher. Once we get there we examin the carpet and determine which detergent will do the task. The rug is cleaned with a hoover to take away any debris and prepare the fibers for cleaning. Once hoovered we apply the cleaning agent on the spot and let it stay for a while so it can respond with the stain and help lift it up from the fibres. To remove it all we use a small nozzle and our powerful hot water extractor which blasts the spot with a hot steam jet while simultaneously drawing all of the filth and gunk, as well as water, out with a solid vacuum. Nothing of the stain and detergent is left, with only about 5% of the moisture used to clean left to evaporate the natural way. Based on the day and thickness of your carpet, the process should take anywhere between 3-4 hours. Don’t lose hope even if your most liked rug has suffered from what seems like a irreversible stain. The cleaners can effectively deal with a huge array of common and not-so-common stains, including: wine, oily stains, paint, , rust, vomit, blood, tea, coffee, moth damage and many more. Don`t hesitate to book our affordable carpet cleaning company Sefton Village L29 right now! Quality Property Care Ltd. is offered for your requests! Do not hesitate to book any of our exclusively customized carpet cleaning services in Sefton Village L29 right now! Use the direct online booking form for bookings. Get a free quote immediately on 0151 673 0008!